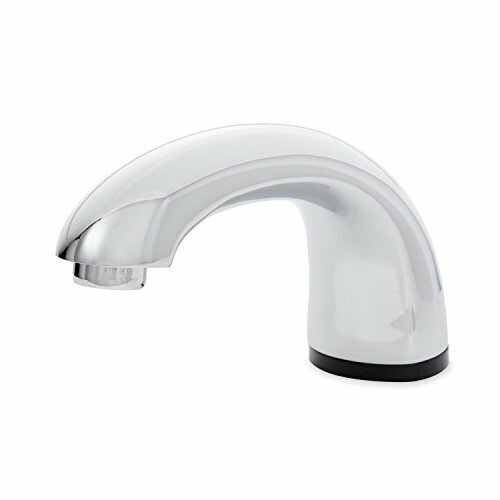 Auto Faucet sets the standard for reliability and user-friendly performance in automated faucet systems. UPC Low Lead Listed. Touch-free activation eliminates cross-contamination to help reduce the spread of germs. Surround Sensor technology creates a 3-inch omni-directional sensing zone guaranteeing activation every time. Solenoid valve-free "dry" cam technology ensures trouble-free maintenance and reduced maintenance. Long battery life -- 400,000 cycles or 3 years on just 4 "D" batteries (included). Optional AC power adapter available (sold separately). ADA Compliant, IAPMO Certified and environmentally preferred.